Is the Griggs mansion haunted? The Griggs mansion was built in 1883 and named after its original owner, a businessman named Chauncey Griggs. Incredibly well kept the mansion still has its original stained glass windows and wood paneled walls. The house was lived in by its first owner for only four years before he moved west. Perhaps he set the theme of the house as it stayed as a private residence until 1939, but non of the people who moved in stayed for more than a few years. In 1939 the mansion was turned into an art school for the next 25 years until it became a private residence again. The house went on sale in 2009 for an asking price of $1.8 million, A fair price for a house of such a size but over the next 3 years the price dropped to $1.1 million. A huge drop for such a property, maybe this is due to the house being known as one of the most haunted i all of Minnesota. Today the house remains as a private residence. The Griggs mansion has been known to be haunted for some time. 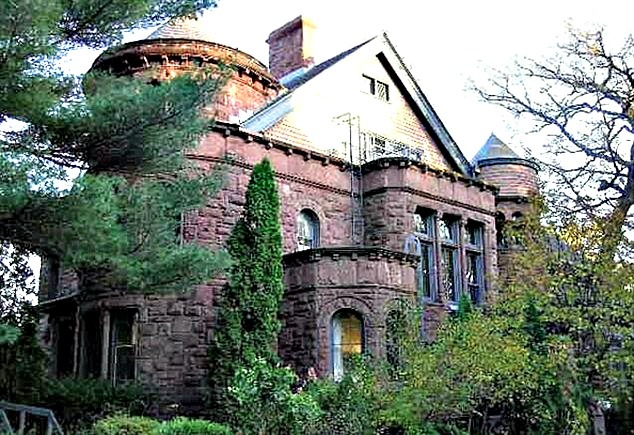 The earliest documented investigation of paranormal activity at the mansion dates back to 1969 when of group of journalists from the St Paul pioneer press stayed in the house to see if there were any truth to the tales. There stay was cut short when they fled the mansion at 4am, running from the fourth floor and straight out the house. As for the fourth floor this is known to be one of the most active spots in the building. A maid is thought to have killed herself by hanging in one of the bedrooms. Her identity and reasons for doing so are unknown, but activity from her has been witnessed by many. Muffled crying noises from empty rooms on the floor and people feeling unwell when they pass by the bedroom doors are thought to be caused by the unhappy maid. Another hot spot is the library, where the gardener of the house, Charles Wade, loved to read. Noises or rustling and pages being turned have come from this room when no one was inside. The total amount of individual spirits that may be at the house is unknown as different visitors and owners have reported experiencing different activity. A psychic who was brought to the house claimed she had picked up the spirit of a civil war officer, who perhaps could be the original owner of the house Chauncey Griggs who served as an officer in the army, although no one has reported seeing any apparitions of him. Speaking of apparitions, one that has has been particularly scary is that of a tall man, dressed in a black suit with a top hat. He has visited various guests in their rooms and been seen standing silently before fading from sight. As for other paranormal activity at the mansion you can only imagine what goes on hear, or maybe what doesn't go on here. As with many haunted places they always seem to share certain activity, such as seeing shadows and the feeling of being touched or someone brushing past when no one is there. This place seems to have them all, from one witness to another all kinds of tales have come from this place. Is it haunted though? Seems so, at least that's what a number of very scared visitors to house would believe.